If you are a Youth Pastor or Leader below are some books, resources, curriculum options, leadership development and more!! Every church knows that kids matter. A better question is, does your church act like every kid matters at every phase? A phase is a timeframe in kids' lives when you can leverage distinctive opportunities to influence their future. That means the whining infant, the dramatic fifth grader, and the stressed-out tenth grader are not just going through a phase that should be wished away. Instead, they are transitioning through a critical phase that you are called to discover, celebrate, and navigate strategically with them. Your ministry is perfectly designed to produce the results you are currently experiencing. If you are satisfied with those results, you don’t need this book. If not, it’s time for a change. Like your own personal trainer, 7 Practices of Effective Ministry is an insightful guide for any leader who yearns for a simpler, more effective approach to ministry. Here are seven strategic principles that when put into play will bring focus and clarity to everything you do and turn your ministry into a winning team. Brad categorizes twenty essential leadership habits organized into three distinct filters he calls “the 3 Hs”: Humble (Who am I? ), Hungry (Where do I want to go? ), and Hustle (How will I get there?). These powerful words describe the leader who is willing to work hard, get it done, and make sure it’s not about him or her; it’s about the leader who knows that influence is about developing the right habits for success. Lomenick provides a simple but effective guide to help one lead well in whatever capacity he or she may be in. Whether you speak from the pulpit, podium, or the front of a classroom, you don’t need much more than blank stares and faraway looks to tell you you’re not connecting. Take heart before your audience takes leave! You can convey your message in the powerful, life-changing way it deserves to be told. An insightful, entertaining parable that’s an excellent guide for any speaker, Communicating for a Change takes a simple approach to delivering effectively. Making it in ministry isn't as easy as some might think. After all, it's not like you're a superhero. With every unsuccessful outcome, dropped ball, or negative interaction, you hear the same question in your mind, "Am I still 'called' to be doing what I'm doing?" But don't hang up your cape just yet. The best journey is one where you have the confidence of calling and an intentional strategy that gives you practical hope through the difficult times. Life Church has an online platform where you can find sermon series, teaching scripts, graphics, and more for your youth ministry. Everything is online and is FREE! XP3 MS is a Middle School curriculum that gives you access to a yearly scope for teaching, resources for parents, graphics, videos and much more! Check the yearly prices for what your ministry would need access to today. XP3 HS is a High School curriculum that gives you access to a yearly scope for teaching, resources for parents, graphics, videos and much more! Check the yearly prices for what your ministry would need access to today. In a disconnected and distracting world, how can our students connect with God and others? WIRED walks students through the many ways God is not only visible, tangible and audible, but how He’s also interested in helping them navigate the life for which they are wired. And we think when teenagers discover how they are wired, they’re taking a first step to a deeper relationship with Jesus. Whether your student has been in church for 10 years or 10 weeks, WIRED will provide the tools they need to engage foundational beliefs about God, themselves, and others, and then equip them to put these beliefs into action. Knowing God doesn’t happen in a moment. It’s not like you wake up one morning and BAM, you know God. You have Him all figured out. No more questions. No more doubts. In fact, you can read every word in this book, fill in every blank, follow every suggestion, and still not understand everything there is to know about God. But that shouldn’t discourage you. Because this book isn’t about answering all of your questions. It’s about taking a step, starting you on a journey to help you know God more. Not completely. Not fully. But more than you did yesterday or the day before. 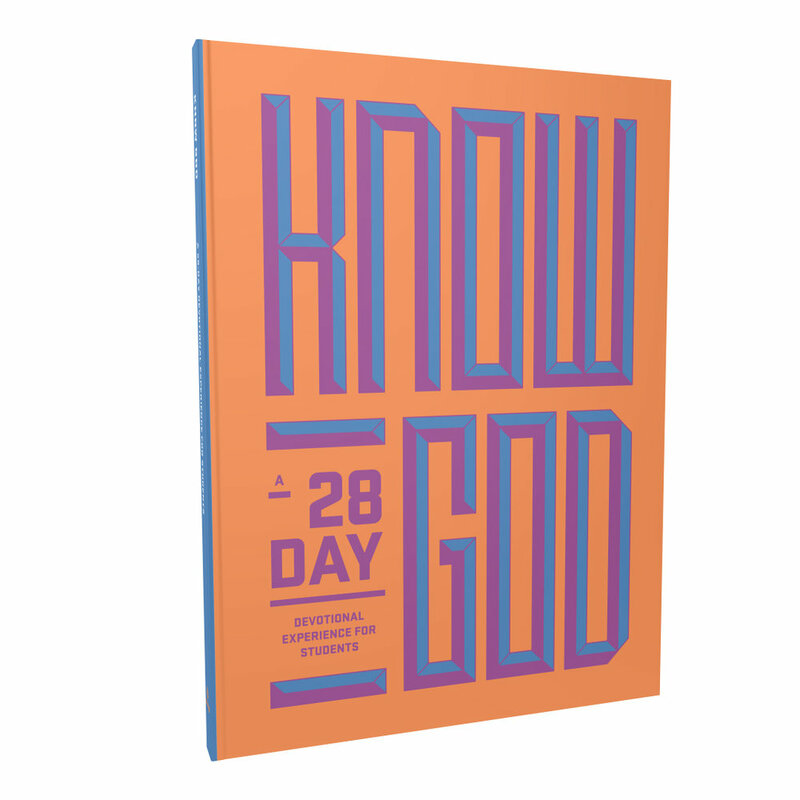 Because even though there’s no formula for knowing everything about God, there are a few things you can do every day that will help you know Him better. That’s what this journal is all about: four things you can do today (and every day) that will help you know God.